Part 2 of this series explored how to target your training so you can run faster at your next race. This article breaks down the three fundamentals of marathon training so that those new to the distance can train properly for a successful debut. Are you thinking about training for your first marathon? Completing 26.2 miles is an amazing accomplishment—one that you can be proud of for years. Indeed, it's a true bucket-list goal. Anyone who's finished a marathon will tell you that the sheer physicality of the race can be an enormous challenge. But it's addictive and can keep you coming back to the distance over and over again to improve your times. Because of the distance, training for your first marathon will be very different from other races. Your mileage will increase, long-run nutrition will be even more critical, and workouts become more difficult. But don't get overwhelmed. Instead, focus on three key aspects of your training that will help you succeed in your first marathon. The long run is the most important workout for aspiring marathoners. About 16 to 20 weeks before the marathon, start building the distance of this workout so you run 20 miles at leastonce before the race. Preferably, as a first-timer marathoner, you will run 20 to 21 miles two or even three times before race day. Long runs are the most specific workout for the marathon, and help build endurance. Since the marathon is 99 percent aerobic (meaning, "with oxygen." This effort is unlike those lung-searing intervals at the track), this is exactly the stimulus you need. Any marathon plan that limits your long run should be looked at with a lot of caution—always be weary of bad marathon training advice that says you can run less and still run faster. 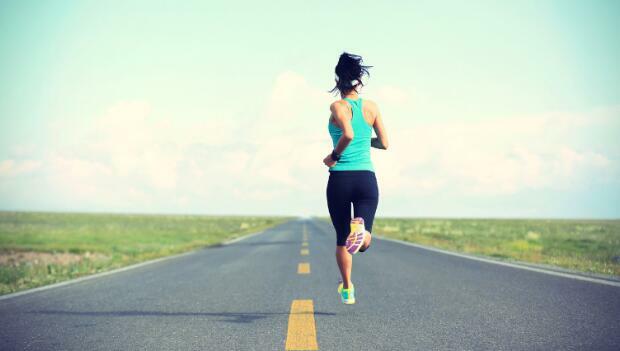 In addition to long runs, your weekly mileage should gradually increase as well. It's simple, but for beginner marathoners, the most effective tool you have to get faster is to run more. The more significant endurance stimulus of an extra 20 percent boost in mileage will make you a much faster marathoner, versus trying to do interval workouts at the track.